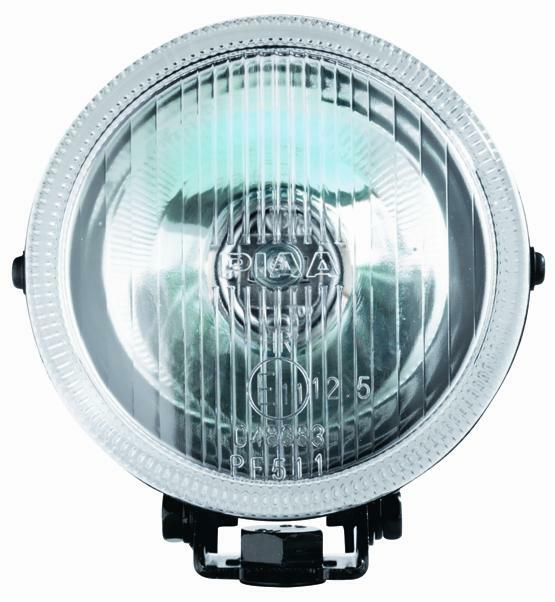 PIAA Lamps - 510 Series - Dezod Motorsports Inc - Home of the automotive performance enthusiast since 2002. The lamp of choice for manufacturers such as Mercedes Benz and Toyota. Exceeds SAE durability and corrosion standards. The compact and ultra thin housing provides for a multitude of applications. With its 4” diameter the 510 is a natural for today’s cars and trucks with round openings in the bumper and or front spoiler. Features Black stamped steel housing and glass lens. Ion Crystal Fog, SAE compliant.